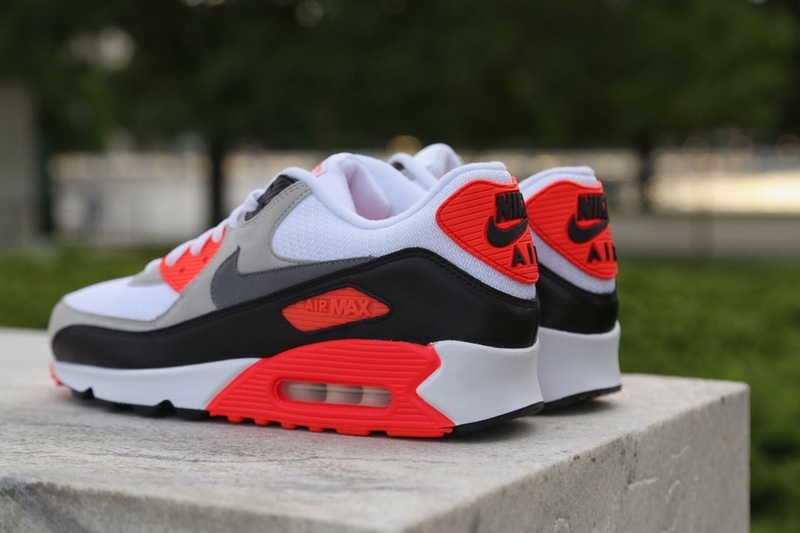 Nike brought back the cult-classic, Infrared Air Max 90 with a limited release taking place back on May 28th. 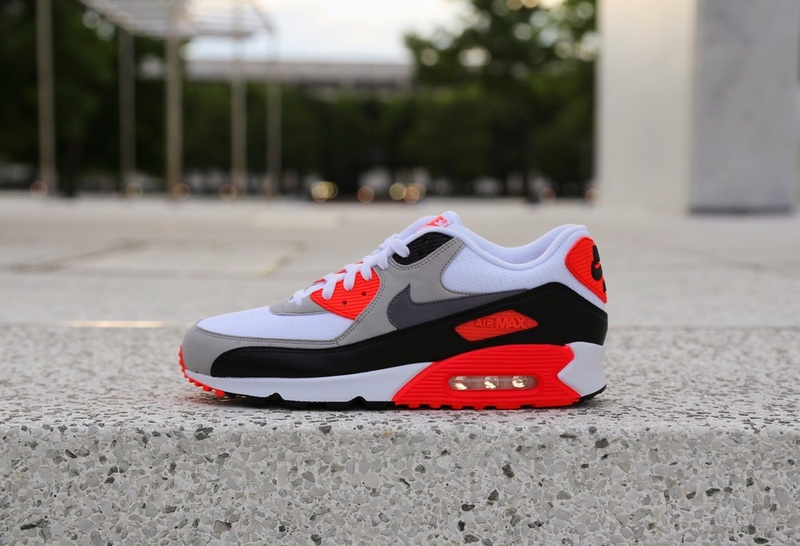 A couple weeks back Nike went into the vault to bring back a fan favorite, the classic Infrared Nike Air Max 90. 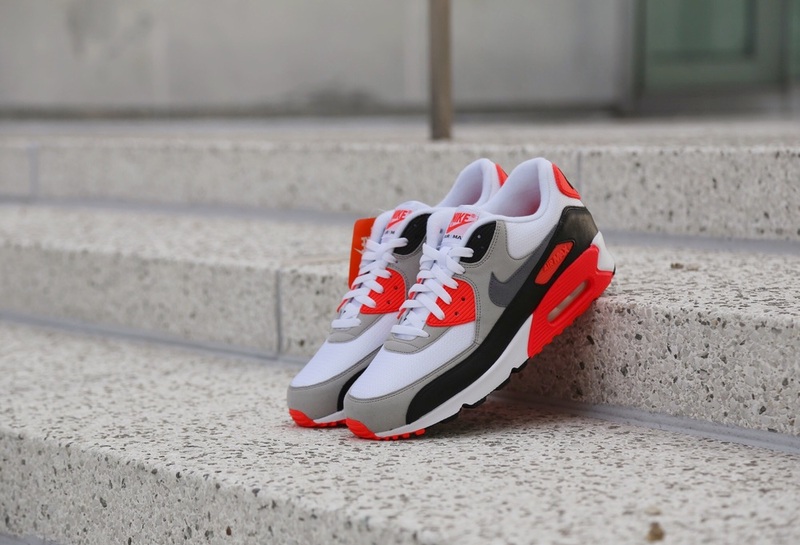 Although Nike has released at least a handful of variations and hybrids of the classic Nike Runner, we haven't seen a true retro of the Infrared Air Max 90 since 2010. For those of you who may not be familiar with the Nike classic, the Air Max 90 is another one of Tinker Hatfield's creations within the Air Max line. The Air Max 90 uses a breathable mesh upper with hits of suede and leather, all utop a midsole that boasts a key feature within the AM90, a visible air unit in heel. This Infrared colorway of the Air Max 90 is easily the most popular and finds a home in quite a few peoples top 5 Sneakers of all time. 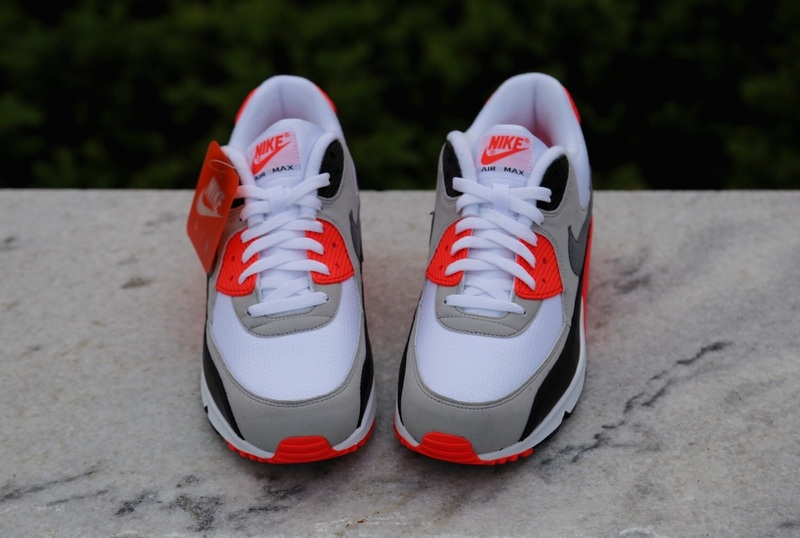 With that said, check out some quick pictures I recently shot of the ever so popular Air Max 90 Infrared, did you need a re-up on your 2010 pairs? Let me know what you think and if you picked a pair up yourself.